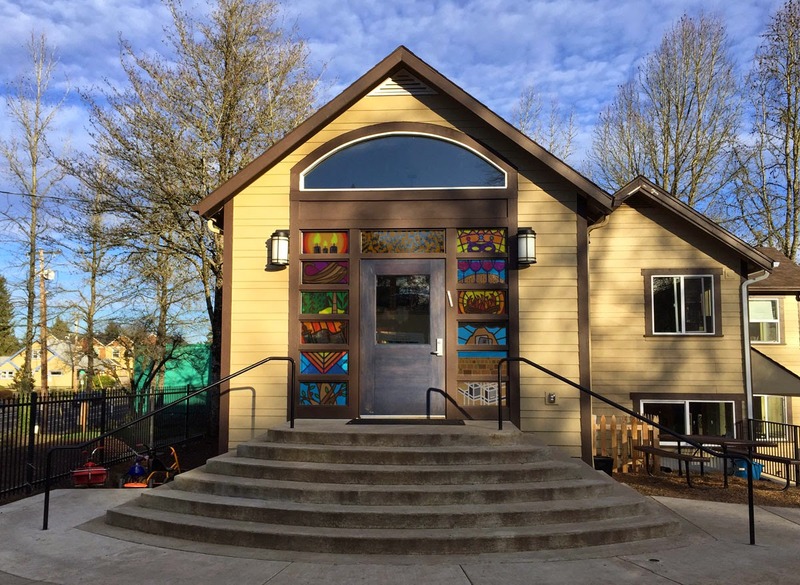 This past Sunday afternoon, as part of my weekend in the Pacific Northwest, I visited Portland, Oregon, to see the Maimonides Jewish Day School, which had commissioned me to create designs for the 13 windows of their new building entryway. 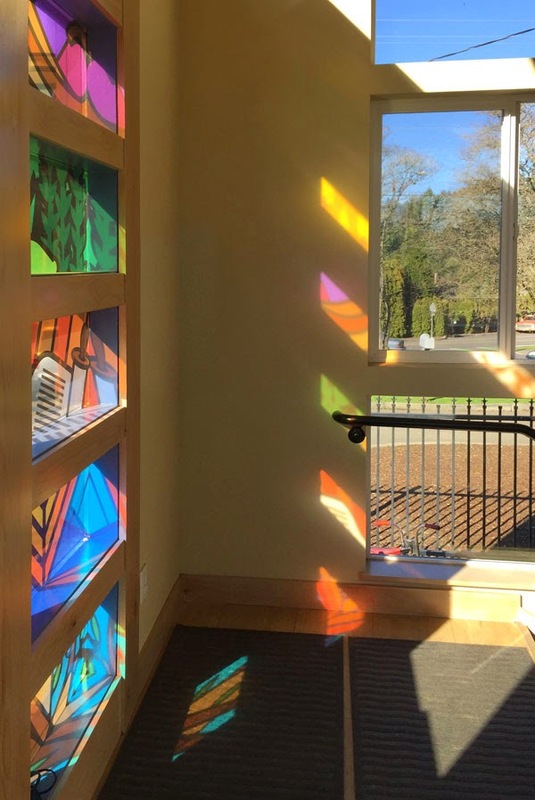 Gorgeous interplays of light and shadows from the windows, which move around the building throughout the day and create unexpected bursts of color. 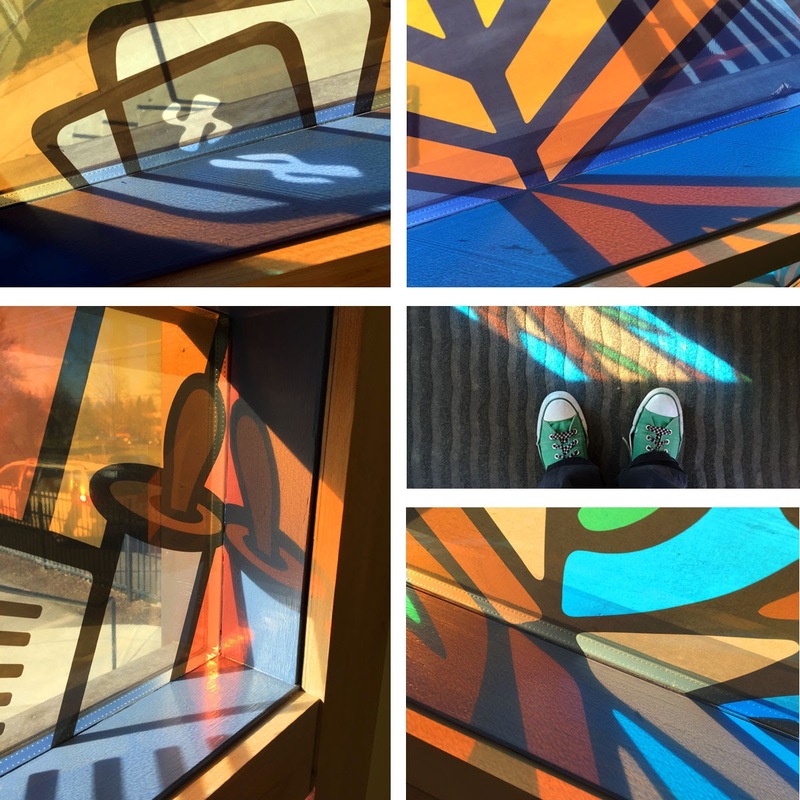 And even the shadows cast inside the window frames themselves are wonderful. I can't wait to see the inset lights installed so that even at night the windows will be filled with color. If all goes well, I'll have the chance in March to see exactly that!